White flowers against green: the picture of serenity. I used to dream of having a garden bed in just those colours. But between June and July, you’ll find several patches in our garden. 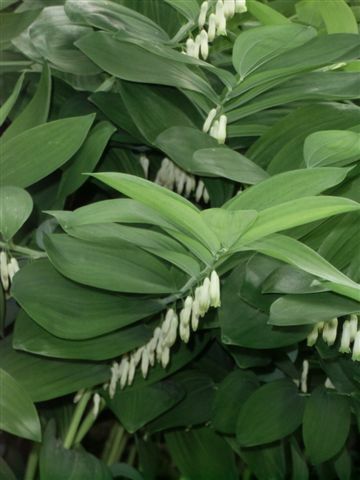 White Hosta blooms (above) and Solomon’s seal below…. Now, to get them all together in one place at one time and I’d have … well, not exactly Sissinghurst … but for me, the perfect white and green garden! 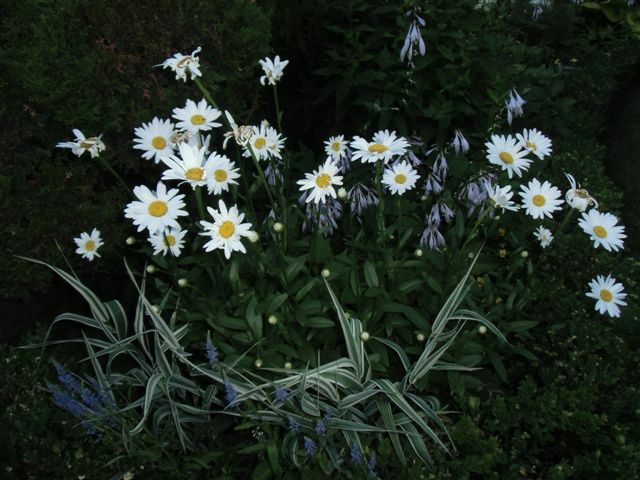 White flowers are great in the garden. They allow you to enjoy the garden at night too. Yours are looking so good. Gorgeous garden! I’ve always dreamed of having a beautiful garden like this…so far all I can manage (just barely) is keeping my lawn cut. The hydrangeas are stunning! Keeping your lawn cut is a good thing, and it takes a lot of work. 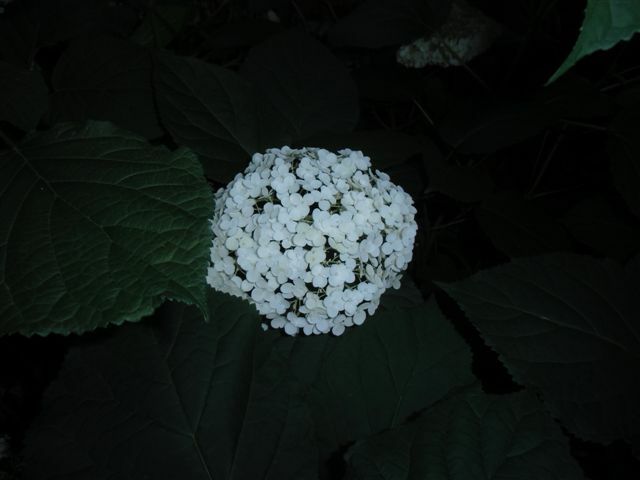 You might try planting an Annabelle hydrangea, though. It’s almost indestructible, I’ve discovered, and the blooms are lovely. Oh, I do adore white flowers! Please can you send your garden over here to replace the mess we have?!! I have to bow to the men who now take care of the garden. Primarily my husband, then his occasional helpers. Our garden was such a mess for years, as I couldn’t garden without horrendous pain, then my husband decided he had to do it. A good man indeed! Teach me how to do that, please! How do you ‘press’ the flowers? And do they keep their colour? Beautiful pictures! Beautiful garden! 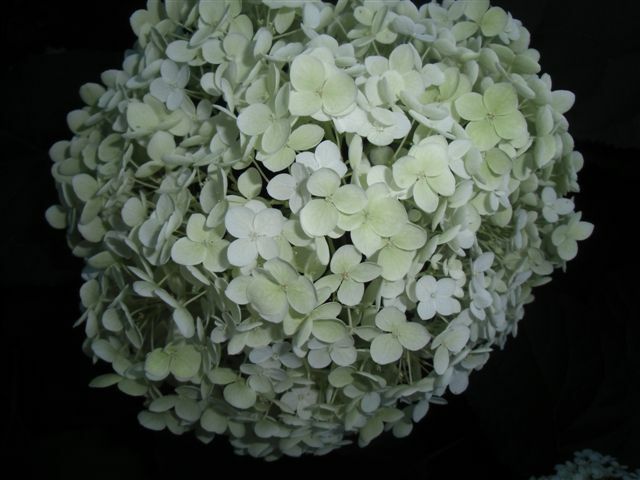 I love Annabelle hydrangea. 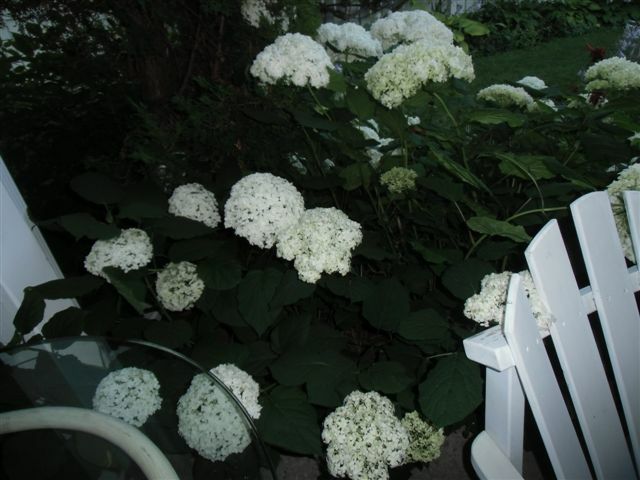 Ours blooms so profusely during the summer. they do, don’t they? with all the rain this spring and summer, the mopheads are simply huge. Just stunning. I’ve never seen host lilies bloom quite so beautifully. It’s like a fountain. It is so fresh and elegant and they can get quite tall too. Our last house I had a flower bed with just white things in it. I loved it. This house has white here and there, like a nice surprise waiting to be found. Thank you for sharing your beautiful whites. You did! Such planning and discipline. For years I had that plan, but it never came to pass! You know, I love the surprise of coming on those beautiful whites against greens walking around a corner or as we pass a beautiful garden in our travels. They come in so many different forms, at so many different times through the spring and summer. I wish you enjoyment of your calm patches – perhaps they are set off by the colours of the other plants around them? Mostly by their strong green foliage, but yes, absolutely, Margaret. 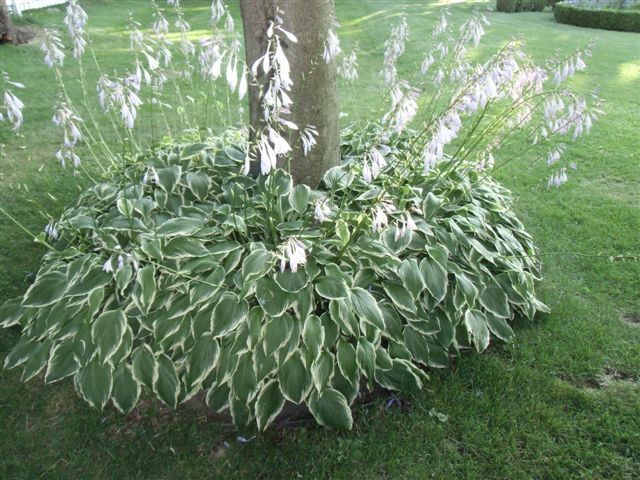 I’m very fond of white flowers in shade, you have some gorgeous ones, especially the Goatsbeard and those Hosta flowers! Thank you. I love ’em. You have some beautiful white flowers. Your Hydrangeas are magnificent. We went to Sissinghurst on Wednesday and as it was quite late in the afternoon we had the white garden almost to ourselves and were able to sit at the table in the little arbour soaking up the atmosphere. Wonderful! So many imitators, but no one has achieved quite what Vita did . Vita really was a remarkable gardener. I always think of her when I think of white gardens. 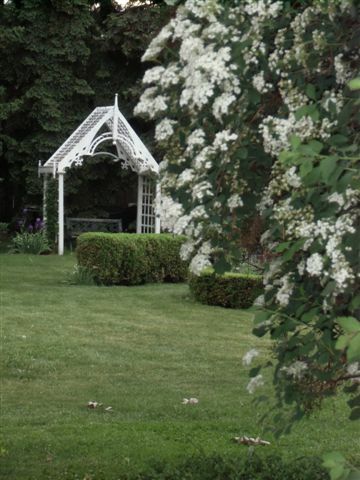 There’s a grand estate east of Toronto called Parkwood, and they also had/have a beautiful white garden. Always calms me. Pure loveliness, Cynthia. The first picture is heavenly. I always enjoy how white flowers capture and reflect the last bits of light in the evening. They are the stars of the garden. Thank you, Wendy! So well said. I once gardened for a Russian lady who grew only white flowers. Everything, even her cats and her car, was white. The strange thing was, her house was gray. I guess she didn’t want to over do it. That’s funny, Allen, especially your last line! I take pride in my husband’s great work, Iris! We planted the garden two months before we moved here and I had the accident two weeks before we moved here, so it’s my husband and his occasional helpers who deserve the praise. Lovely, lovely white flowers. I have one bed running along the side of the garden that is all yellow and white, but nature thinks this is a big joke and all the strongest coloured plants self-seed and pop up there. I couldn’t help laughing at nature having her way with your garden bed.Thanks for the laugh, Hilary. Great comment. Thank you, Michael. those flowers really are so elegant and lovely. do you have many hosta? 600 hostas? SIX HUNDRED? My goodness, Michael. That’s a lotta hosta. But as I read further, I see that hostas were a passion of yours, and that means you must know a lot about the different kinds. Thanks very much for the link. 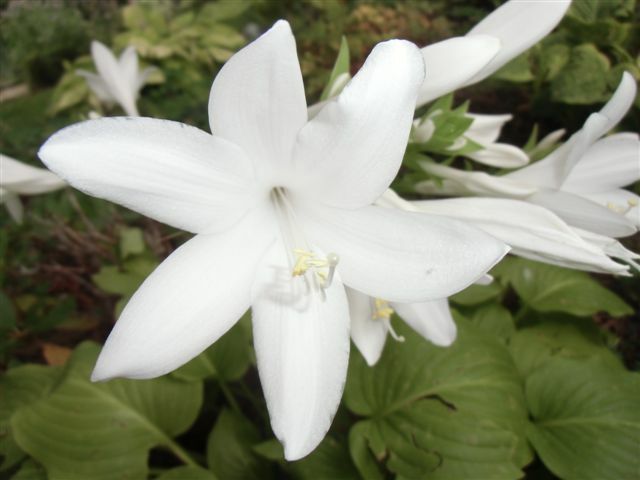 One thing I’m curious about: is it my imagination, or are white blooming hosta relatively rare? No not a silly question. It is in a container and I could have moved it and covered it but didn’t. Fortunately it is quite close to the house and was protected from the worst of the weather. The flowers that decided to open aren’t too badly damaged. We have some sunshine this afternoon but the winds are still strong and the heavy rain is set to return tonight. We had a month’s rain in 24 hours yesterday and the ponds are full again. Strange weather indeed. How rude of me! 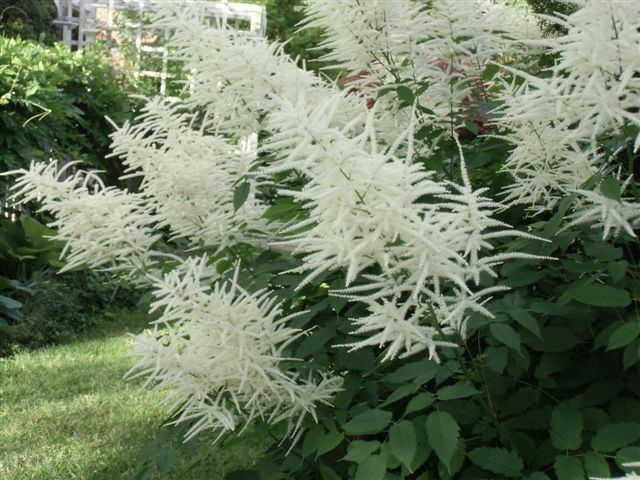 I meant to say how much I loved the photos of your white flowers – especially the hostas and goatsbeard – but I forgot. Sorry! I knew that! You are never rude. Wonderful photos .. There is something special about white flowers. 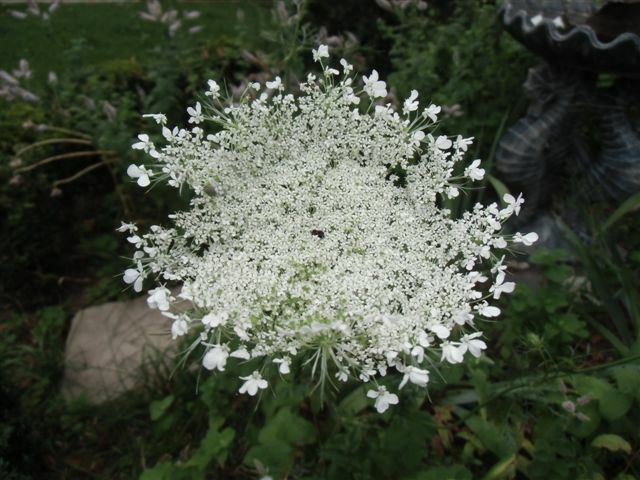 I like Queen Anne’s Lace too ..
Me too, me too! Thank you, Julie. White hollyhocks?! I’ve never seen those! I love my hollyhocks but now I covet yours . 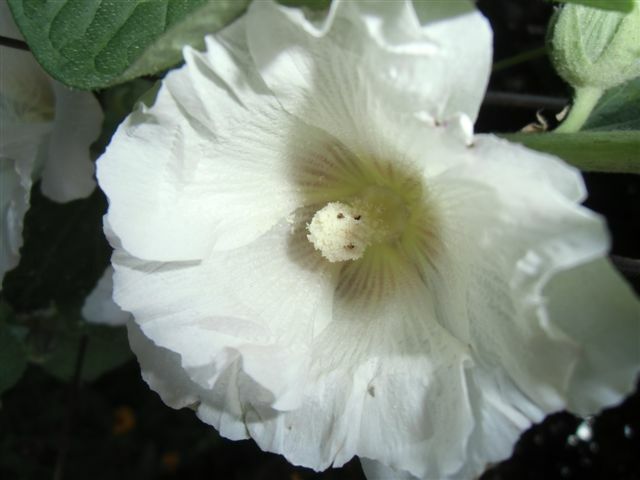 . .
We had them in all colours, but after a while, I ended up with just white hollyhocks. Merci beaucoup, Christiane. Oui, tres tranquille…. Ahh, we have some goatsbeard in our local park and I’ve often wondered what it is, the flowers are so striking, so thanks for that Cynthia! I figured out what changed with WordPress and am able to comment again, now that I know how to work around it. Your white garden is beautiful. 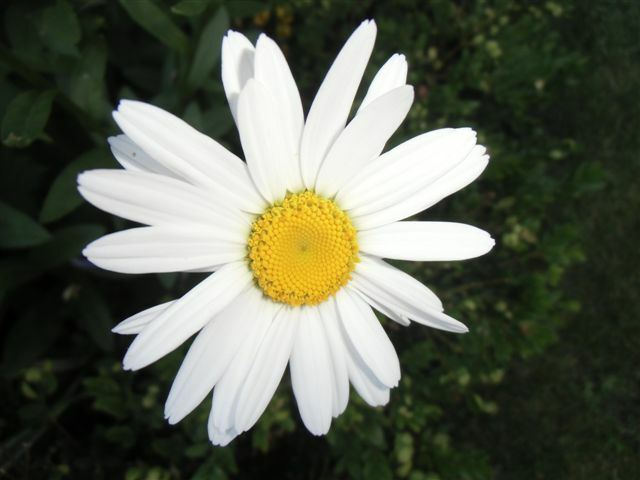 My mother always loved white flowers, too. 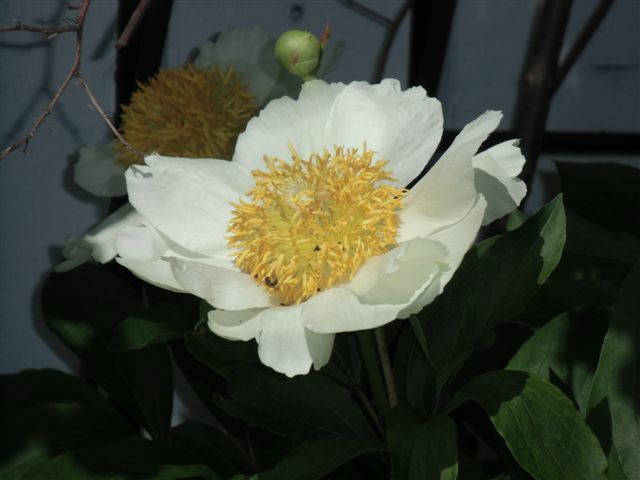 Her favorite was her white peony. Lavinia! It’s wonderful to have you back. Thank you for being here again! And I shall soon be looking for your August newsletter — always so soulfully-written. You must be a singer-songwriter (big smile). Thank you! August is coming all too soon…so much not done here I meant to accomplish this season. I love that goatsbeard. It’s funny I never thought about just white and green for a garden as my mind always puts color into gardens. I think a white and green garden would be crisp, clean and beautiful! I think so too. I must try it one day. Even one garden bed. You are most welcome, Maxine. Such a beautiful selection of white flora. They’re fabulous, Cynthia.